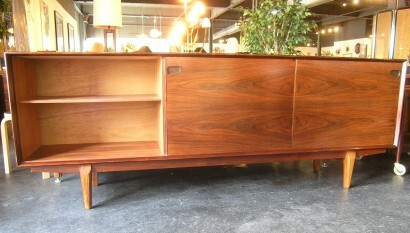 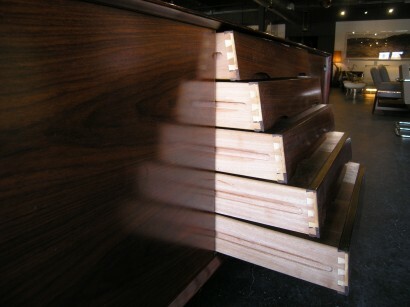 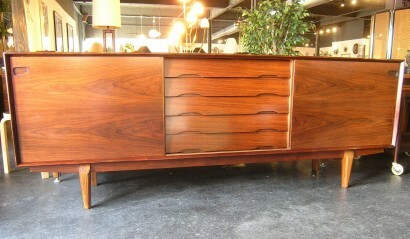 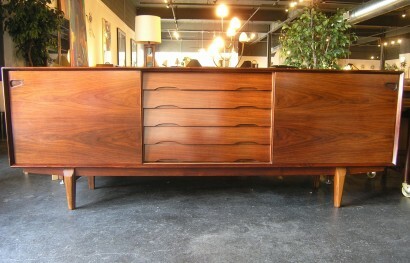 This beautiful sideboard features a stunning rosewood grain. 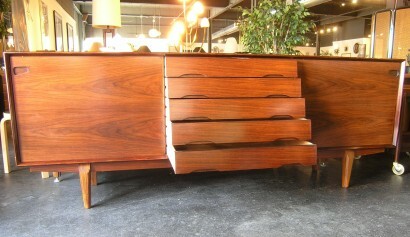 With five drawers in the center and sliding doors on either side which reveal roomy shelving, this piece is elegant and functional. 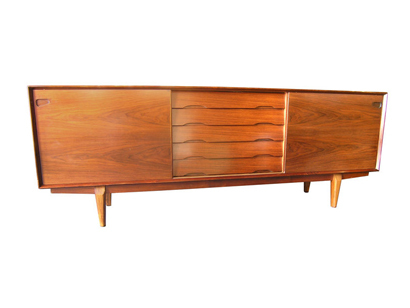 Solidly constructed with tapered legs and interesting notched pulls.